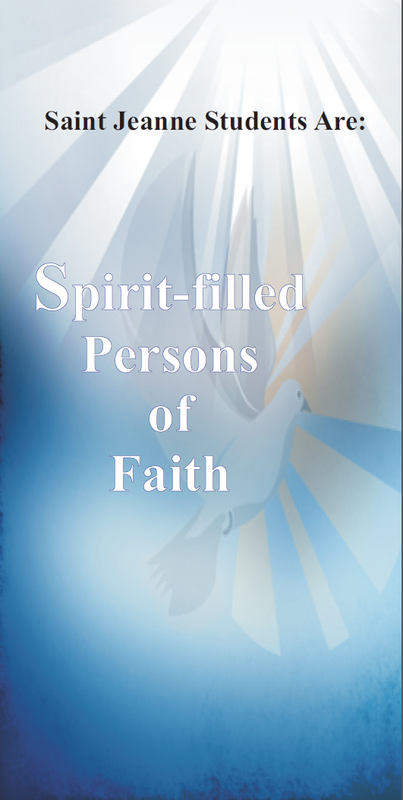 SPIRIT-FILLED PEOPLE OF FAITH WHO: Develop a relationship with Jesus expressed through prayer, participation in liturgy, and acts of service. Celebrate their Catholic heritage. Honor the legacy of Mary, Mother of the Church and Saint Jeanne de Lestonnac. Treat others respectfully and compassionately. 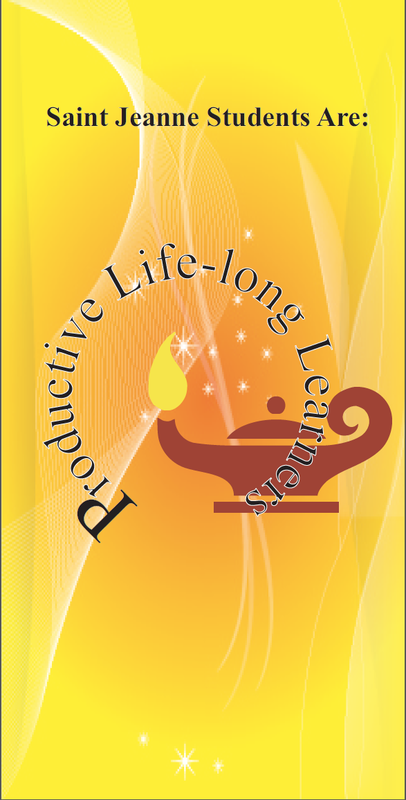 PRODUCTIVE LIFE-LONG LEARNERS WHO: Apply acquired knowledge to everyday life. Think independently and cooperatively. Strive for excellence utilizing a variety of tools, resources, and technologies. 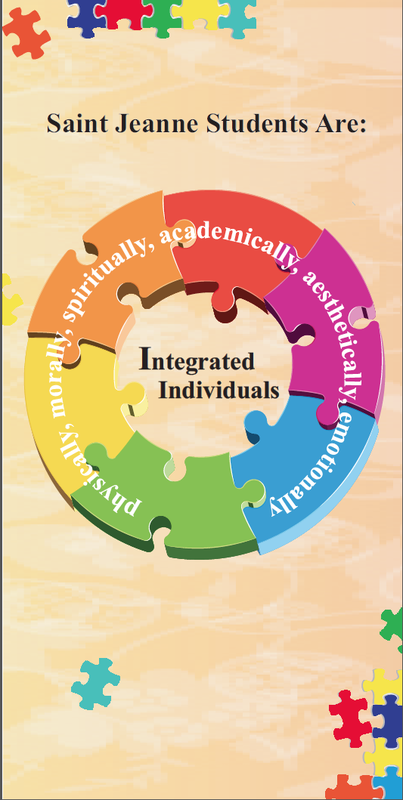 INTEGRATED INDIVIDUALS WHO: Maintain a balance in their academic, spiritual, and personal development. Are well-rounded, recognizing the worth of academics, arts, athletics, and healthy lifestyles. Share their gifts and talents with others believing they can make a difference. Deal appropriately with success and failure. RESPONSIBLE CITIZENS WHO: Accept personal accountability for their words and actions. Exercise leadership and recognize the value of diversity and collaboration. Promote and practice ecological stewardship. 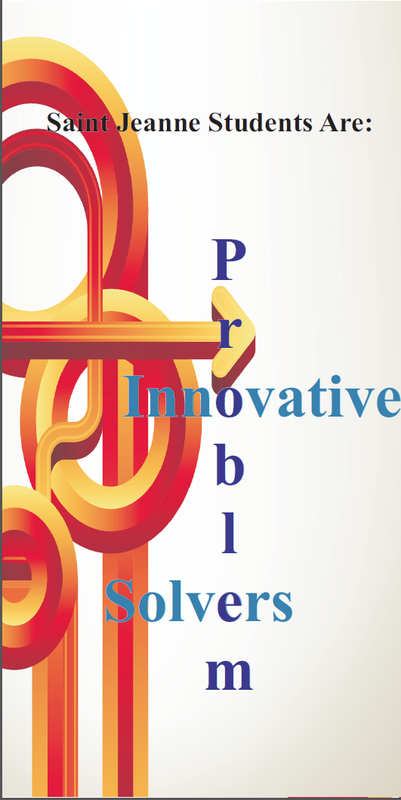 INNOVATIVE PROBLEM SOLVERS WHO: Negotiate differences and manage conflicts in a peaceful manner. Face challenges with commitment and resolve. Think creatively and work with others to find multiple and achievable solutions. 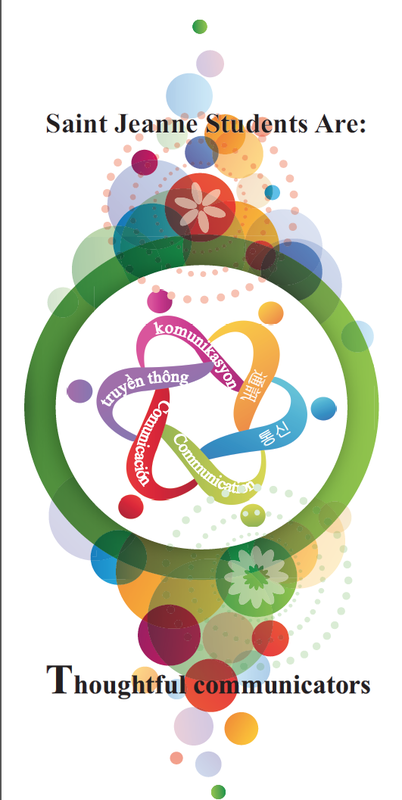 THOUGHTFUL COMMUNICATORS WHO: Express their thoughts effectively, articulately, and confidently, using correct mechanics. Listen openly and attentively to others.